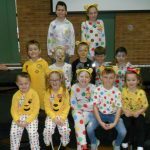 Children in Need – Go Spotty! 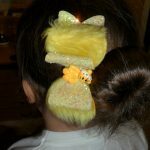 Home › Latest News › The latest news of FPS! 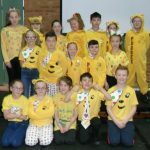 › Children in Need – Go Spotty! 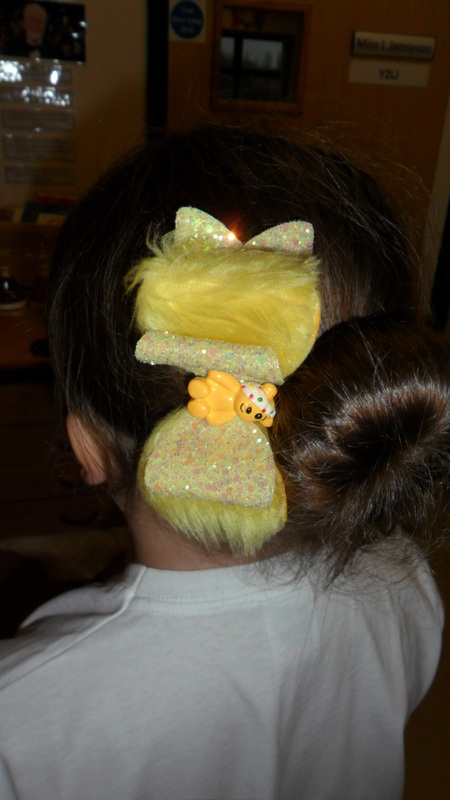 Today, pupils have been donating towards Children in Need. 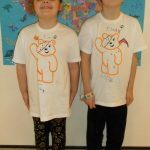 Lots of effort has been put in to our ‘Go Spotty’ theme and children arrived to school dressed in Pudsey Bear pyjamas/onesies, t-shirts and Pudsey Bear deely-boppers/headbands. 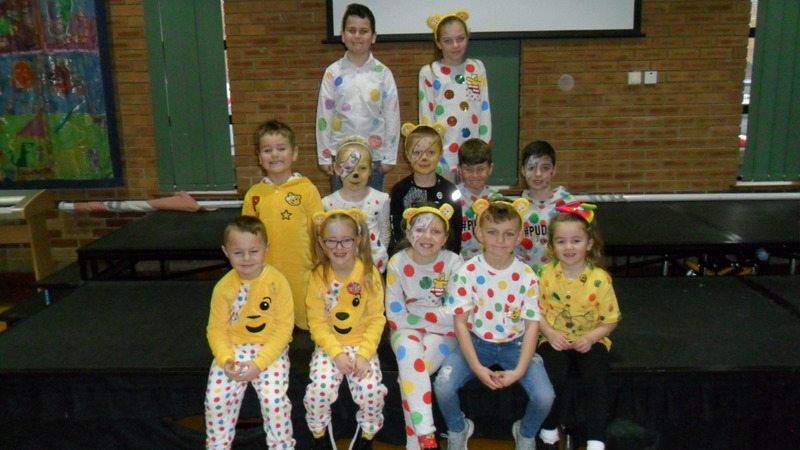 Lots of children also wore spots on their faces using face paints. 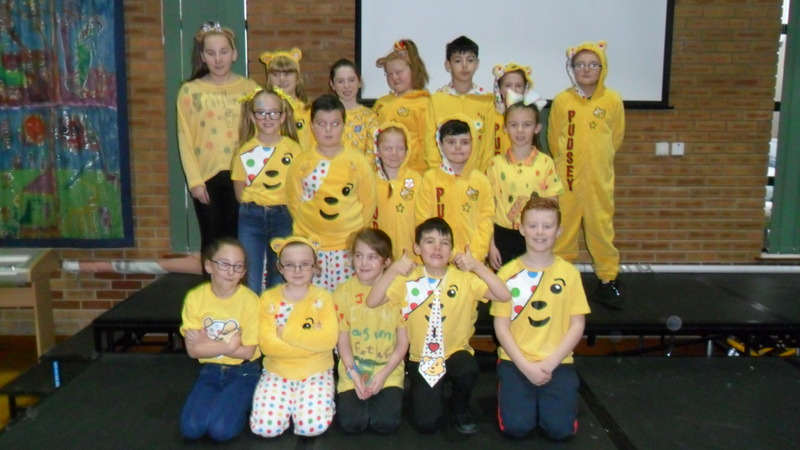 Once again, although we haven’t yet got a final total, your generosity means we are well on the way to raising over £300 for the children’s charity. 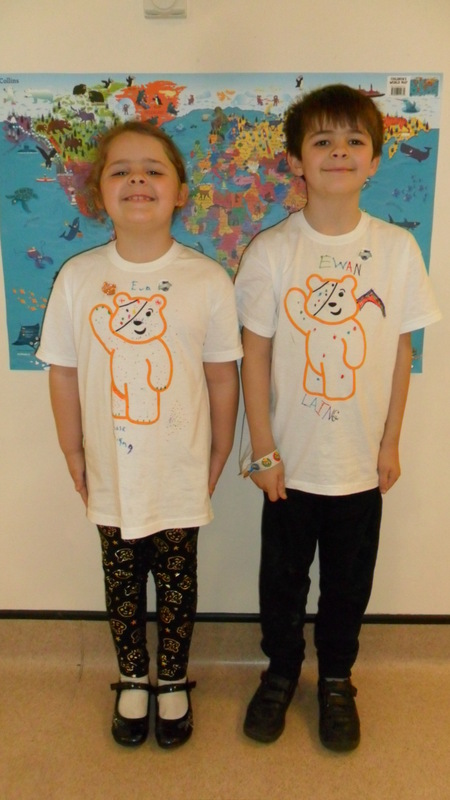 A special thank you goes to Ewan and Eva (pictured), who helped their mum to raise £75 by making and selling Children in Need bows (pictured) We will publish the final amount raised shortly after the final count. Thank you to everyone for your generosity.